Provide comfort for the family of Nancy Tripp with a meaningful gesture of sympathy. 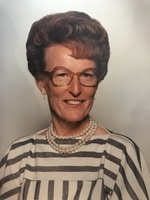 Ringling - Funeral Services for Mrs. Nancy Jane (Pemberton) Tripp, 87 of Ringling are scheduled for 10:00 A.M., Monday, February 4, 2019 at the Ringling United Methodist Church with Rev. John Marks officiating. Interment will follow at Ringling Memorial Cemetery. Services are under the care and direction of Alexander Gray Funeral Home in Ringling. Nancy was born December 13, 1931 at Fay, OK to the late Mr. Elmer Pemberton and Mrs. Ica (Sinclair) Permberton. 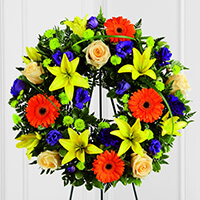 She departed from this life on Friday, February 1, 2019 at the Elk Crossing Nursing Home in Duncan. Nancy attended school in Fay where she was an accomplished basketball star. She was named All State in her high school years and upon graduation she left with a single suitcase and a $25 scholarship that was awarded from the Extension Home Economist Club of Custer County. While waiting in the enrollment line, a businessman named Mr. G. overheard her situation, and immediately hired her to babysit his children and work at his clothing store on the OSU campus in exchange for room and board. Mr. G. taught her how to drive and soon gave her free use of his car. Her brother Francis Pemberton also helped with her tuition. While at OSU she met the love of her life on a blind date, Wilbur "Doc" Tripp. She always said Doc was the best thing that ever happened to her. They were married on January 23, 1955 in Thomas and to this union were born four children. Nancy graduated from Oklahoma A & M of Stillwater in 1956. Nancy's value of education was evident while living in Anadarko. Her oldest children did not have early childhood education opportunity, so she started a kindergarten program. When she moved to Fairview with her family, she worked as a kindergarten aide. When her family moved to Guymon, Nancy went back to college and obtained a teaching degree from Panhandle State University. She taught 3rd grade at Yarbrough and Guymon. She retired from teaching in 1991 after teaching for 20 years. Nancy's value of education is further exemplified through her children and grandchildren. At one time, Nancy and Doc's four children were all in school at OSU at the same time. While living in Ringling, Nancy and Doc were active in their church. They could be found making numerous peanut butter and jelly sandwiches for Kids Club. She was an excellent cook and seamstress. Nancy taught Sunday School, and they constructed the banners that currently hang in the Methodist Church Sanctuary. Nancy was a long time member of Ringling United Methodist Church. Preceding her in death are her parents; husband "Doc" Tripp on July 27, 2008 and granddaughter Audra Rose Tripp. Nancy is survived by her four children and their spouses, Dr. Mike Tripp and wife, Rita of Ringling, Patti Sebesta and husband, Steve of Fargo, ND, Dr. Phil Tripp and wife, Beth of Shelbyville, KY, and Jani Drake and husband, Ray of Hume, MO; one brother, Harold Pemberton and wife Joy of Hurst, TX; one sister, Naomi Newberry of Oakly, CA; nine grandchildren, Heather Stephens and husband, Justin of Sapulpa, Ashley Cain and husband, Jason of Roanoke, VA, Abbie McLemore and husband, Terel of Ringling, Dr. Randy Drake and wife, Susan of Warrensburg, MO, Dr. Holt Tripp and wife, Hollie of Okotoks, Alberta Canada, Kyle Sebesta and wife, Allison of Bismarck, ND, Landri Lawhorne and husband, Tim of Greenville, SC, Lora Rapp and husband, Nick of Schell City, MO, Lindsay Olson and husband, Tim of Columbia, SC; and nine great grandchildren, Hunter, Dylan, Caddo, Carson, Renin, Kasen, Noah, Penelope, and Channing. Pallbearers will be Dr. Randy Drake, Kyle Sebesta, Dr. Holt Tripp, Tony Tripp, Justin Stephens and Nick Rapp. Honorary bearers will be Jeff Hiller, Mike Moore, Ken Kimmel, Bill Massey, Mike Brooks, Bill Stroud, Todd Wilson, Biff Jackson, Terel McLemore. The family gives special thanks to the staff of Elk Crossing Nursing Home, Chisolm Trail Hospice and all the caregivers while at home. In Lieu of Flowers, donations may be made to the Baptist Home for Girls, 1109 Anthony Ln, Madill, OK 73446. A family visitation will be held Sunday afternoon from 2-4 P.M. at Alexander Gray Funeral Home in Ringling. 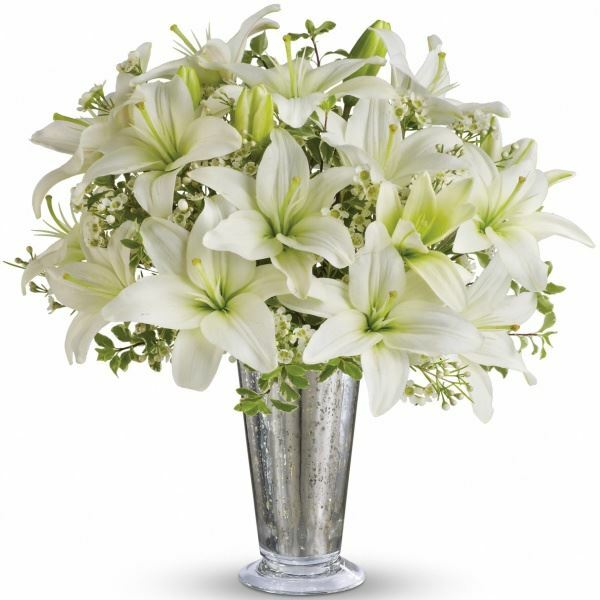 To send flowers in memory of Nancy Jane Tripp (Pemberton), please visit our Heartfelt Sympathies Store. 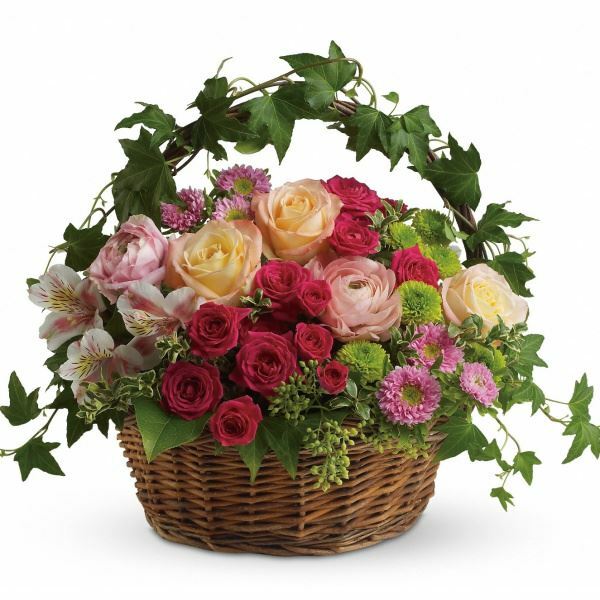 National Swine Registry, Animal Health International, and others have sent flowers to the family of Nancy Jane Tripp (Pemberton). As you grieve know that we are remembering you and honoring the memory of "Nancy Tripp". National Swine Registry purchased flowers for the family of Nancy Tripp. Animal Health International purchased flowers for the family of Nancy Tripp. Kentucky Equine purchased the The FTD Radiant Remembrance Wreath for the family of Nancy Tripp.